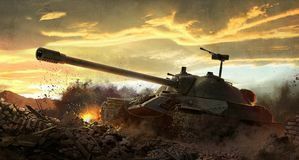 It’s a daft name, there’s no getting around it, but WarGaming.net’s World of Tanks demands more than just scoffing at its moniker. 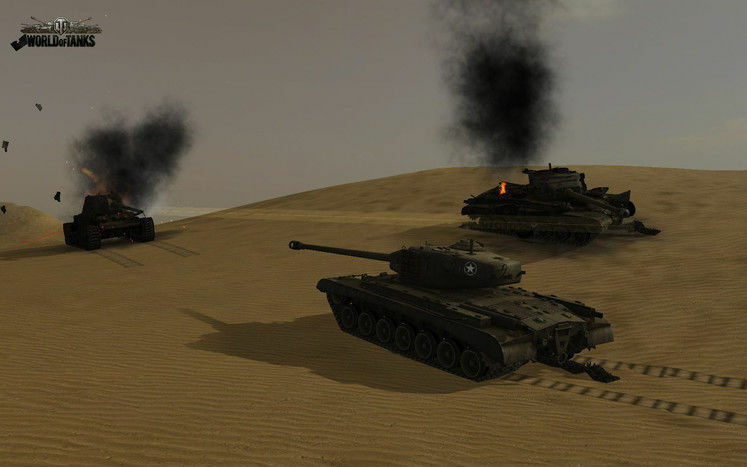 It attempts to meld a lightly-realistic tank simulation with equal parts online persistence and swift 15-on-15 action, creating a pick-up-and-play experience that contains enough long-term hooks to keep people coming back for more. With a sedate pace and reliance on teamwork rather than reactions, that may well explain the 3,000,000 players that have sampled its battlefields to date. Well, that and the fact it’s free, anyway. Structurally there’s precious little padding here, and soon after installing you’re dropped into a garage with just a couple of menus and a huge red button for company. 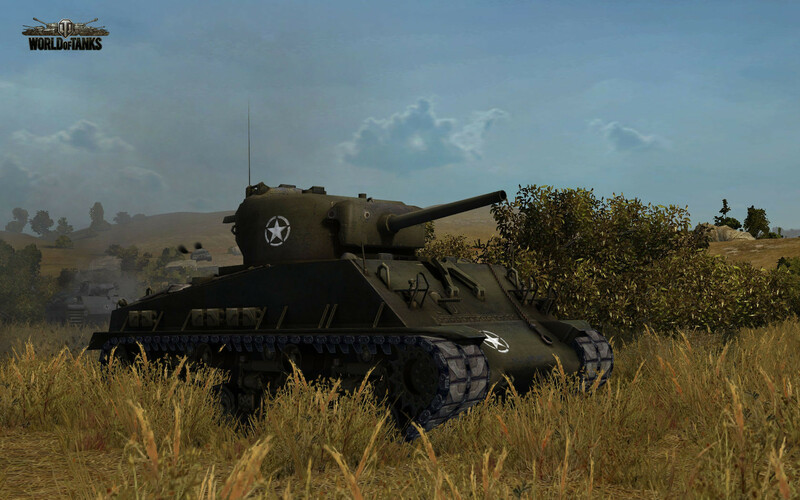 Leaving aside the desire to jump straight into the action (although that’s absolutely a viable option), it’s within those menus that World of Tanks draws an analogue to the likes of Call of Duty or other online shooters, with a basic experience and currency system providing access to a raft of additional equipment with which to differentiate your experience from that of your comrades. These are more than just trinkets and better avatars however, and long-term investment in the game reaps a steady reward of additional power. As the name suggests, the developer has concentrated on providing a vast array of mobile armoury as that dangling carrot for longevity. You’ll start off with three light tanks representing Germany, Russia and the USA respectively, and further tanks, research, crew and upgrades (split into the likes of turrets, engines, radio, munitions, etc) can be purchased for each of the vehicles in your garage with in-game currency (after researching each of them with battlefield-earned XP). There are separate tech trees for light, medium and heavy tanks, as well as the devastating Tank Destroyers and SPG’s. These units effectively form the MMO-style class system, and determine your specialist role on the battlefield more than any other factor. Although those same five categories of hardware apply whichever nation you choose to plunder (and there’s nothing stopping you from progressing all three at the same time), there’s still a hell of a lot to unlock here as each of the factions contains its own unique lineup of units and upgrades. Progress at the early stages is swift enough to sample all three before committing though, and only becomes truly gruelling towards the mid-to-late stages of each ladder. Make no mistake though, as with any mutiplayer-skewed online title, it’s those with the most time and resources that will eventually dominate, as indeed they probably should. Thankfully, whether you’re in it for the long haul or just an hour or two here or there, World of Tanks doesn’t disappoint on its core action loop. 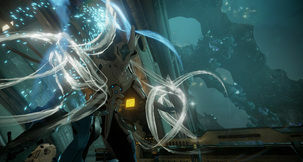 Jumping into any game is as simple as clicking that tantalisingly huge red button at the top of the screen, at which point the servers attempt to match thirty tanks of roughly the same class and experience before throwing them onto a small-to-medium sized map and allowing nature to take its course. Games are won either by destroying all of the opposition tanks, or by capturing enemy bases in the manner of Battlefield. It’s that simple. In keeping with the style, controlling your tank is also as straightforward as those game rules. WASD is deployed for movement, whilst your mouse acts as the turret. A targeting circle decreases in size depending on whether you’re in motion or aiming from the spot, and scrolling the mousewheel allows for a more accurate look at your enemy or the section of ground that you just accidentally lined up in front of. Each of the tanks has a radio range that acts to highlight enemy units on the map (upgradable, of course), and there’s also an element of dice-rolling on the back-end to determine which shots are accurate, penetrate armour, or those that simply whistle past into the nearest hay bale. 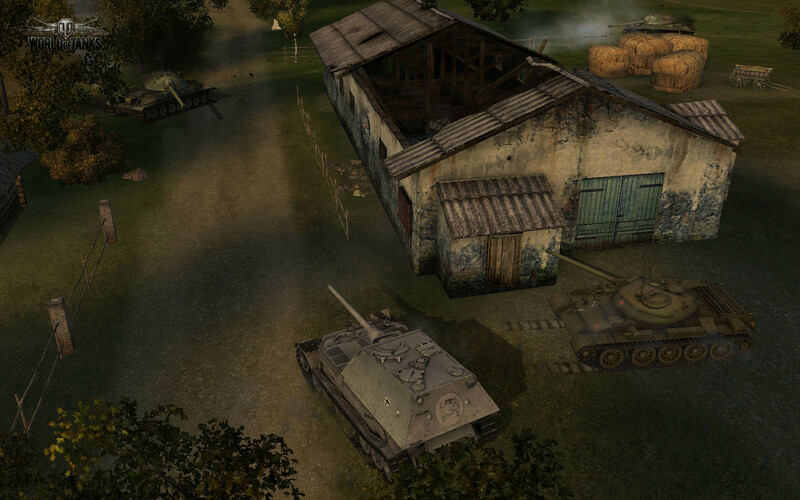 Despite those random elements coming into play at inopportune moments (firing a shell directly into an enemy tank from short range can occasionally result in barely a lick of damage), in practice it all works pretty well, with battles that play out for 10-20 minute stretches and promote co-operative action rather then lone-wolf tactics. To be successful, teams need a variety of hardware taking up scouting, sniping and heavy artillery roles, and in that respect the game caters well for lower-level players that can perform the less glamorous but nonetheless crucial role of a spotter or - at times - a kamikaze distraction. The big question of course is whether or not you’ll want to do that, as finding a fight that’s close to your capabilities can be difficult in the early stages. There is a steep learning curve across that first hour that’ll see many players repeatedly viewing their metallic corpse and wondering where they went wrong, and it’s only when learning to leverage the power of the heavyweights that things start to click. Battlefield tactics such as minimising your profile, factoring in terrain movement speed and reload times all work their way into the equation, and stumbling on the wrong situation as a newbie almost always ends in a fairly instant death. It is, at times, brutally difficult to get anywhere. For those same newcomers, the pacing of a tank game might also take a little while to adjust to. Ponderously sweeping your way across any of the nicely-rendered maps allows for careful consideration of exactly where you want to set up your ordinance to give yourself the best chance, but to reach an optimum position and end up mullered by a one-shot behemoth heading round the corner is frustrating at the best of times. That’s the nature of the simulation of course, and hardly the developer’s fault; but it’s certainly worth baring in mind for those of you coming in from an FPS background. Quitting out after death is a non-penalised option, but you’ll need another tank available in your garage as the one you just lost is locked until its game ends and repairs have been made. 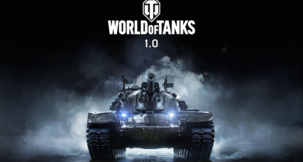 For those with the time and patience however, World of Tanks looks to be an ever-evolving title with ambitions to stay fresh for the foreseeable future (new nations have been added since launch, and Risk-style clan-based world warfare is reportedly coming soon). That additional spit and polish is happening on top of an engine and structure that - despite the reservations listed above - is already in an extremely decent state, and given there are currently no waiting times whatsoever to be matched with 29 other playes, it certainly looks to have found its audience. Whether or not you’ll want to become a part of the crowd depends on your experience over those crucual first few hours, but there’s certainly no reason in the world not to give it a try. “Sniping” an enemy tank through a gap in the wall.